San Mei, Australian recording artist Emily Hamilton, continues to refine her appealing combination of dream pop vocals and scuzzy indie guitars, and in doing so emerges as a performer well worth following. With "Wonder", her second release since her recent Necessary EP, she supercharges the energy and strut and provides a tantalizing look at her continued progression. Her sound is concise, bristling with purpose, and newly confident. San Mei is a fresh voice, but seems to us to be ready for prime time. Friday's number one mission for us was to find a set of music to get lost in. Music that is encompassing, absorbing, and provides an excellent reason to not bothering to finish the work that has piled up all week. And we found exactly what we needed. In fact, we found more than one, but we will start with Swedish musician Tobias Isaksson, who has gifted the world with another glistening jewel, the six-song Whatever '18. Recording as Azure Blue, Isaksson has been thrilling synth pop fans for years, but 2018 looks to be more important than most. In addition to the four original compositions and two covers (of "Justice" by Robert Forster and "747" by fellow Swedes Kent) on Whatever '18, he will be releasing the full length album Fast Falls The Eventide this summer. Whatever '18 is lush, romantic synth pop with sparkling details and soaring melodies. 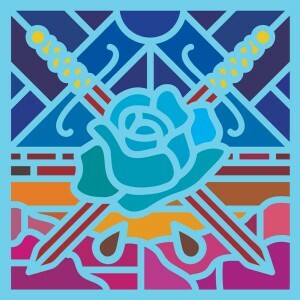 The title track will be on the new album, but the other five are only available on the EP (except for the few tracks that appeared on European-only releases in the past). In addition to Isaksson, the songs boast contributions by Swedish artists César Vidal, The Land Below, Peter Morén, Charly A, and Bo. Of course, there are reminders of the synth pop heyday of the '80s, including some direct parallels to New Order, OMD and (including on the title track streamed below), but adept reworking by Isaksson provides a musical statement that is not only vital and life-affirming, but very much up to date. We loved it on the first listen, and our appreciation grows with every replay. The CD format of Whatever '18 only is available via the Matinee Recordings website (see below). The digital format is available via Matinee, as well as iTunes, Amazon, and Spotify. The new album, Fast Falls The Eventide, also will be released via Matinee. Today's first musical enjoyment comes courtesy of Sweden's Nora Karlsson, who writes and performs as Boys. Her new single "Hemtjänsten" is taken from her May 11 release Rest In Peace, a debut album that should earn her a wealth of new fans. The song is warm and dynamic, showcasing her ability to provide intimacy or grandeur as the moment demands. "Hemtjänsten" and Rest In Peace are available via PNKSLM. We don't know what kind of weather you are experiencing, but we have bright sunshine and temperatures in the low '70s - a beautiful spring day! So what better music than a song unabashedly redolent of springtime? 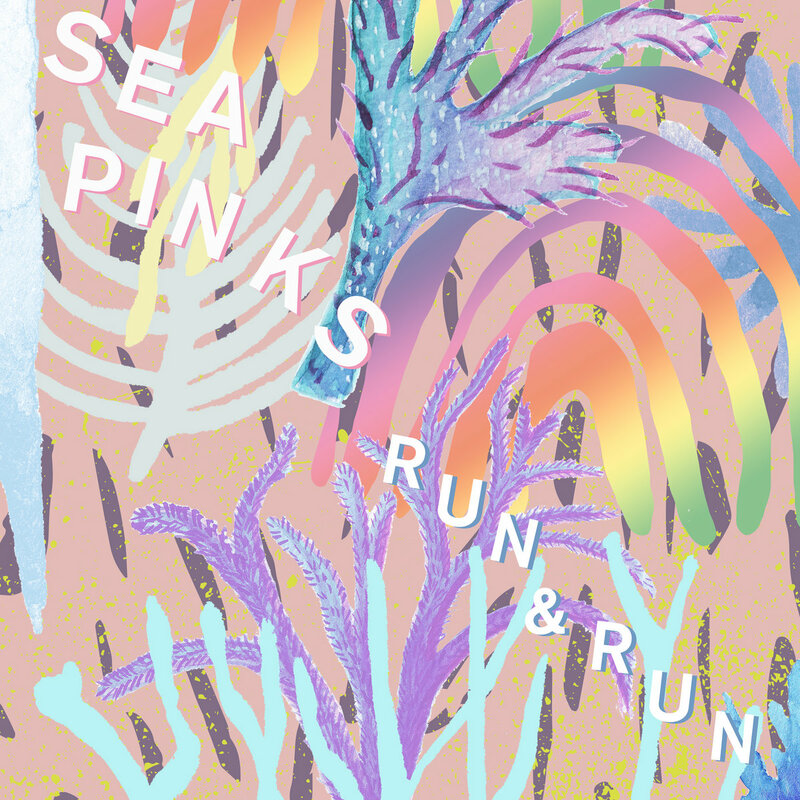 We present "Run & Run", by our Belfast favorites Sea Pinks. It jangles, bubbles and bounces, and even has a bit of trumpet! We can't get enough of it. "Run & Run" is available as a digital single via CF Records. Sea Pinks are Neil Brogan (guitar/vocals/bass) and Davey Agnew (drums). Michael Barkley makes a guest appearance, because that trumpet isn't going to play itself, is it? We present your summer soundtrack for relaxing under the stars enjoying a warm breeze - Lio canta Caymmi. The title reveals the nature of the work - Belgian/French vocalist Lio sings the songs of Brazilian singer songwriter Dorival Caymmi, but appreciation requires your ears and heart, as well as a bit of background. The genius behind this album is attributable to five individuals: First, Mr. Caymmi himself, the beloved and influential Brazilian singer songwriter and Bossa Nova visionary who died in 2008; Second, Jacques Duvall, the French lyricist who conceived of the project; Third, musician Christophe Vandeputte, who arranged the songs; Fourth, Lio, whose vocal talents and interpretive artistry lent new life to the songs while honoring the composer; and Fifth, Crammed Discs honcho Marc Hollander, who appetite for quality music regardless of origin has enriched music fans globally. The twelve songs curated for this record lie in the space where French cafe meets Samba, Bossa Nova and other forms of Brazilian pop. The atmosphere is relaxed and romantic, with the focus appropriately turned on the singer and composer, with sparse but artful accents from the instrumentation. Lio, born Wanda Maria Ribeiro Furtado Tavares de Vasconcelos in Portugal, has spent her career singing in French, but turns to her native tongue for Caymmi's creations. On this album, she has cast a spell that will last all spring and summer, and whenever you want to remember the good times. And none of us will complain a bit about being bewitched. 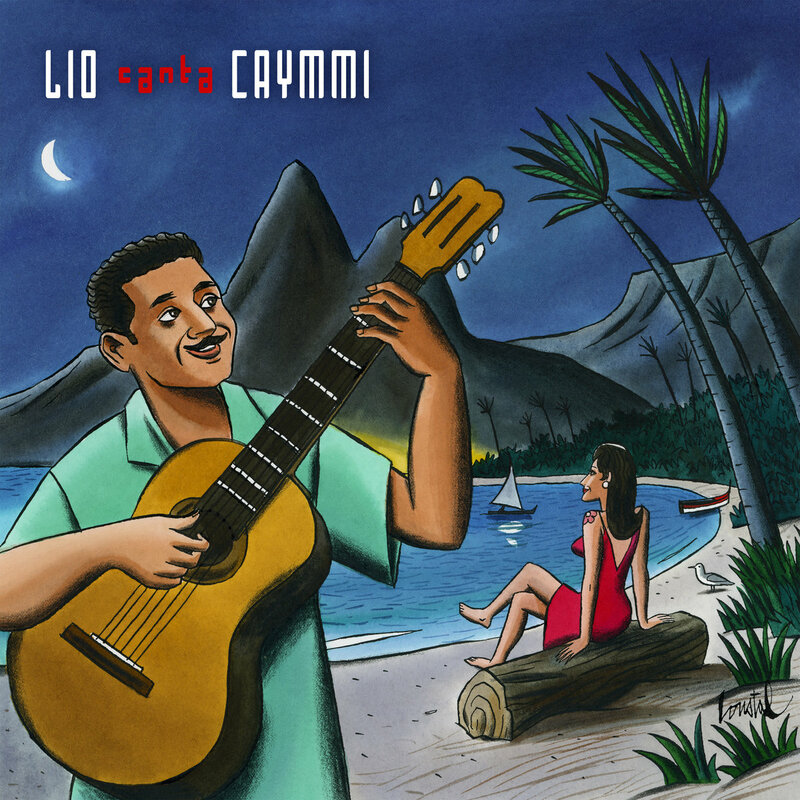 Lio canta Caymmi is out now via Crammed Discs.